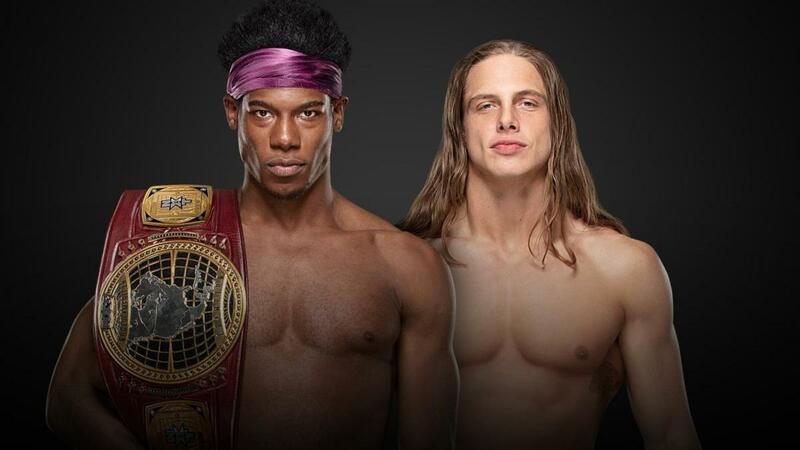 Velveteen Dream and Matt Riddle's North American Championship match is now official for NXT TakeOver: New York. After last night's episode of NXT television aired, WWE had William Regal send out a tweet confirming that Dream will defend his NXT North American title against Riddle at TakeOver: "Last night, @SuperKingofBros nearly had @VelveteenWWE beat in the Fatal 5-Way. While Riddle came up short, I want to see what happens when Riddle and Dream compete one-on-one, for the NXT North American Title… at #NXTTakeover: New York!" Riddle had Dream in the Bromission near the end of the fatal five-way match, but Adam Cole pulled the referee out of the ring. The finish of the match was Cole pinning Ricochet after hitting the Last Shot. Cole will face Johnny Gargano in a two-out-of-three falls match for the vacant NXT Championship at TakeOver: New York. WWE began building to Dream vs. Riddle at February's NXT TV tapings. At this month's tapings, Riddle declared that he would see Dream at TakeOver.